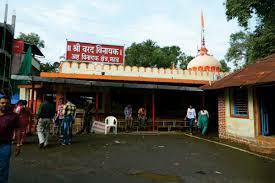 Here is Some Information about Varad Vinayak Temple in Mahad Maharashtra India. The Varad Vinayak Temple is located Mahad village of Raigad District in Maharashtra.The temple was built by Subedar Ramji Mahadev Biwalkar in 1725 AD.The temple is Dedicated to Lord Ganesha.The temple is Among one of Ashtvinayaka(Eight Ganesha)Temple of Maharashtra. 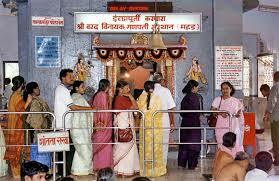 Varadvinayak Temple is the only Ashtavinayak temple where Ganapati devotees are permitted to personally pay their homage and respects to the Lord Ganesh idol (Varad Vinayaka). Adorned with a swayambhu (self-manifested) idol of Lord Ganesh and surrounded with mountains, embellished in the greens, on all four sides.Shri Varad Vinayak Temple is about 20 km from Khandala, on the Pune – Mumbai Highway.The Demo of the temple is about 25 feet high with golden pinnacle.A holi Pond is situated on the west of the temple.A unique feature of Mahad Varadvinayak Temple is a lamp that is glowing continually since 1892.This Ashta Vinayak shrine faces east (Purvabhimukh)and is enshrined in the sitting posture, with his trunk turned towards the left. The stone idols of Riddhi and Siddhi are seen in the sanctum. The statues of elephants decorate the four sides of the temple.A Gomukh (meaning face of a cow) is seen on the north side of the temple from which flows the holy water. A holy pond is situated on the west side of the temple.This temple also has the idol of Mushika, Navagraha Devtas and Shivalinga.In this Ashta Vinayak Temple devotees can enter the Garbagriha and pay their homage and respects to the idol . 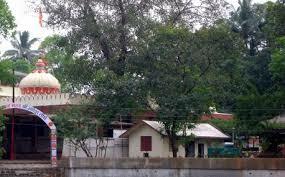 Varad Vinayak Temple looks like a house with a tiled roof. There is a Gomukh towards north with Holy water coming out of it. A small lake lies at the west. The temple is only 2.5 meters long and 2.5 meters broad. Dome is 8 meters high with a golden pinnacle. The sanctum of the temple, made up of stone and surrounded by beautiful elephant carvings, houses the idol. According to a mythology, a sage named Vachaknavi was visited by a king called Rukmangada. During his visit, the wife of the sage, Mukunda, felt attracted and expressed her love to the king. The king distorted her down and made her mad, in anger. Later, Lord Indra, the king of the Devas, came down to the earth, in the form of Rukmangada. He accepted her and an illegal son, Grutshmadha was born. The son who got to know the story of his birth prayed to Ganesha in Bhadrakavana for relieving him from the sins and the Lord granted his prayers. 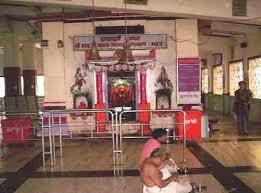 It is believed that Varadvinayaka fulfills all the desires of his devotees. There are 30 Rooms here, with both air-conditioned & non-air-conditioned rooms. Extra person in room: Rs.200/-. [luxury tax applicable]. Driver Room Stay Free. This motel has about 39 rooms with attached baths. It is a mid-priced accommodation. Contact Information: Near Petrol Pump, Mumbai-Goa Highway, Mahad. There are 16 rooms with attached baths. By Road : Shri Varad Vinayak Temple at Mahad is 63 km from Mumbai, 85 km from pune, 25 km from Karjat, 21 km from lonavala and 6 km from Khopoli. 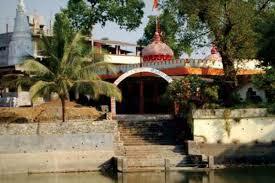 The temple is 1.5 kms off the Mumbai – Pune old Highway. Mahad Bus Station, operated by Maharashtra State Road Transport Corporation (MSRTC), connects the place with other major towns such as Khopoli, Mahabaleshwar, Karjat, Alibag, and Shivthar Ghal. Mahad can also be reached via Mumbai – Panvel – Khopoli road. By Train : The NearesT Railway station is Chiplun Railway station. By Air : The Nearest Airport is Chatrapati Shivaji International Airport in Mumbai.